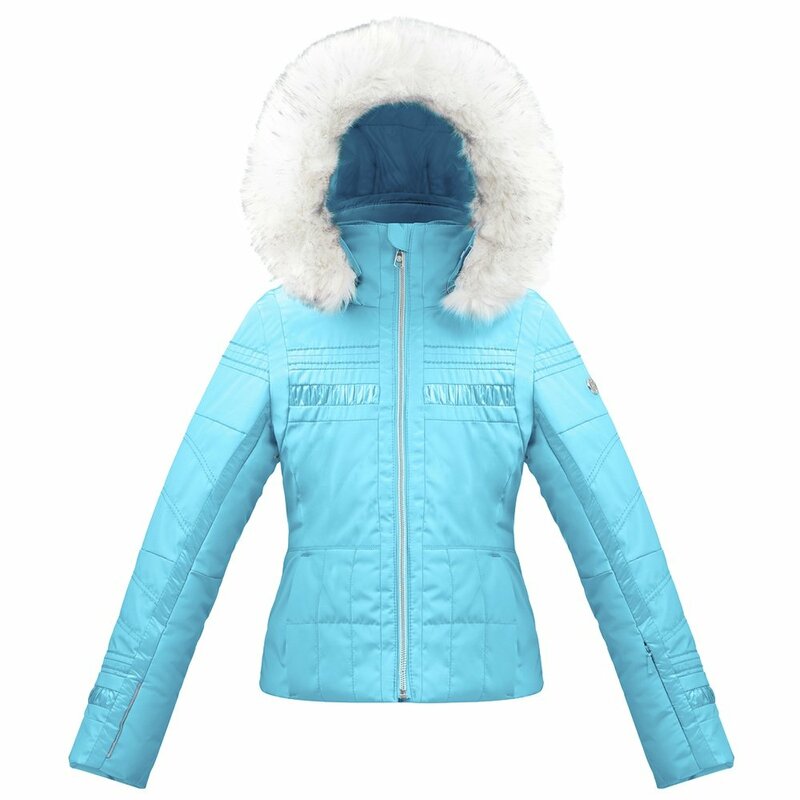 Whether your junior is learning to ski or already carving double-black diamonds, she needs a jacket that's a perfect blend of serious ski features and a fun, youthful design. So she'll love the Poivre Blanc Smocked Ski Jacket with Faux Fur. It has plenty of useful ski features like a thermal fleece inner collar, a ski pass pocket, and mesh inner pockets. But it also has plenty of youthful design features, like a matching key ring and a removable faux fur band on the hood. The Smocked Ski Jacket is a great choice for teens who need a high-performance, high-style ski jacket. This jacket has features for skiers like zippered hand pockets, articulated sleeves, an internal snow gaiter and more. Teens will love youthful design elements like decorative stitching on the upper body and a novelty matching key ring. This ski jacket has an 8K waterproofing/breathability rating, ideal for light precipitation.